Die Musik besticht durch das Gefühl für die Melodie und den Song und wird durchdringt von einer tiefen Sensibilität, und erreicht eine hohe Eigenständigkeit mit viel Wiedererkennungswert. Sie erinnert in ihrer Dichte an Velvet Underground oder Lou Reed und John Cale, als sie gemeinsam "Songs for Drella" schrieben. Gustav Haggren begeisterte bereits mit "Gustav & the seasick saylors" und "Case Conrad" seine Fans und Zuschauer. Er tourte in Europa und den USA und verfügt über eine einzigartige Bühnenpräsenz und warmherzige Stimme. 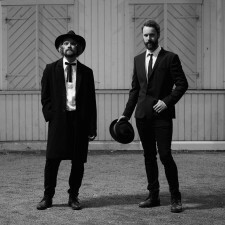 Nun kommt er im Duett mit dem Sänger der schwedischen Band "Shooting John" auf Tournee, um ihr neues Projekt, schlicht betitelt "HG" und ihre neuen Songs vorzustellen. Two Swedish musicians and one Irish poet. Gustav Sigala Haggren and Peder Gravlund have put music to 14 of William Butler Yeats’ poems. It took them 17 years. The result is “Horseman, Pass By”, a double album recorded and produced in Malmö, Sweden. The album will come out on Stargazer Records, November 23rd. 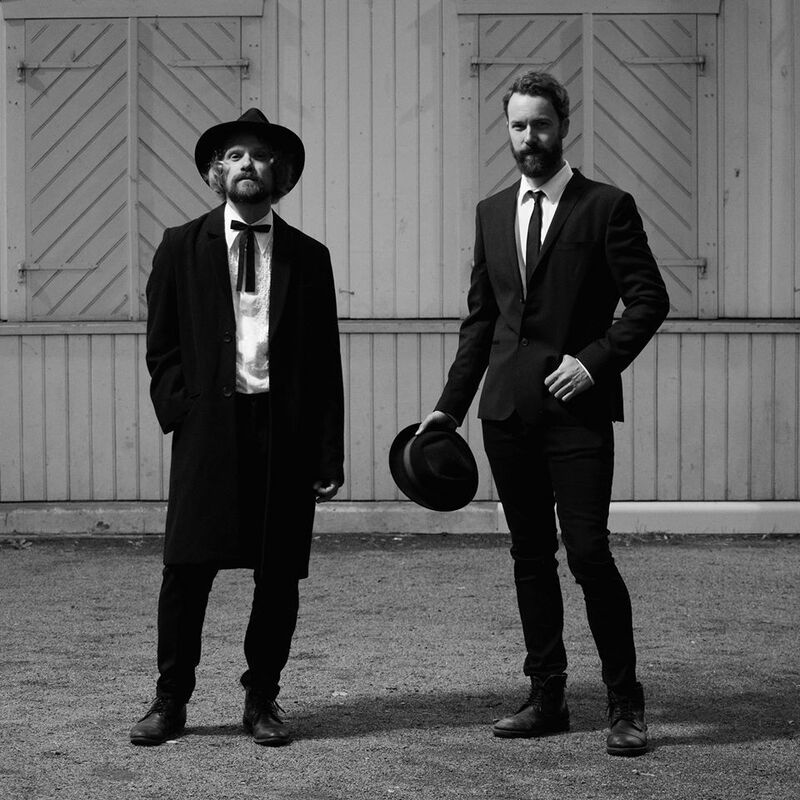 “Horseman, Pass By” is the collaborative project of Swedish singer/songwriters Gustav Sigala Haggren and Peder Gravlund. The songs are rooted in traditional folk music and contemporary pop, gently bridging the gap between Yeats’ time and our own, giving the poems a somewhat timeless character. The idea was sparked during a longer stay in Dublin in the early 2000’s, and has then slowly materialized over the years. Gustav Sigala Haggren and Peder Gravlund are both based in Malmö, the southernmost county in Sweden. Gustav Sigala Haggren is a musician and freelance journalist. He is one of the lead singers of indie outfit Case Conrad (SWE/POR) which comes out on Stargazer Records. He started his musical career with Gustav and The Seasick Sailors. The group released three albums, toured USA and Europe several times and supported acts such as Christian Kjellvander and Tiger Lou. Gustav Sigala Haggren is about to launch a new solo project Bells Fell Silent, beginning of 2018. Peder Gravlund is a musician and literature teacher. He is the former lead singer of the alt. country band Shooting John, with two albums and tours in Europe and USA to their name. Currently, he is working on the second album of electro-pop trio Handshake, whose debut album, Runaway, was released in 2015. Friends who kindly helped to make this happen are: Petter Bengtsson (drums), Kristian Rimshult (piano on “Lady’s Second Song”), Helena Arlock (cello and back vocals), Lena Geue (back vocals), Caroline Karpinska (violin), and Filip Wangefjord (trombone). “Horseman, Pass By” is mixed by Gustav Sigala Haggren and mastered by Emil Isaksson at Studio Möllan in Malmö.